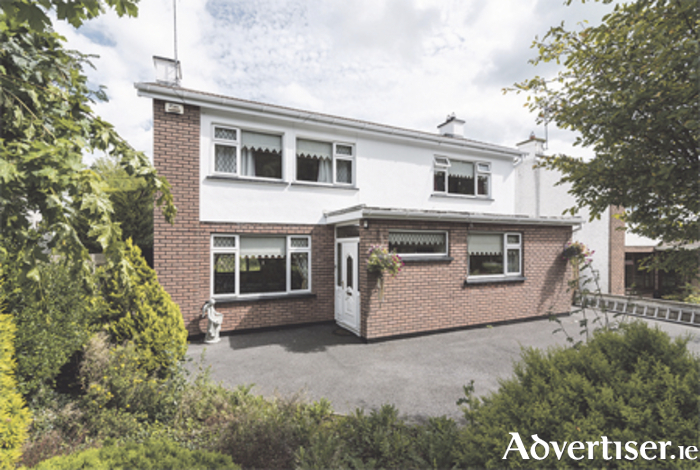 Space and comfort with an enviable address set the tone for this light-filled fine four-bedroom detached family home on an attractive site in a mature small development of 22 homes in Moate. Located just off the fashionable Mount Temple Road and being just a few minutes’ walk from parkland, schools, shops, and the town centre, this home offers all the essential ingredients for modern family living. The interior boasts four bedrooms, two bathrooms, two reception rooms, central heating, and attractive decor. The exterior offers gardens and private parking, and there is a large green area to the front of the property with mature trees allowing a safe area for children away from the main road. The home is approximately 145 square metres with a BER D2 energy rating. For more information or to book a viewing call agent Helena Kenny of Sherry FitzGerald O’Meara on (086 ) 8119190.